For one, modern buyers prefer to read personalized content. Many of them would respond to offers reflecting their previous purchases from you. And to most, the level of personalization you use would affect their buying intent. And I’m sure you’ll agree, the above makes it marketing to them so difficult. Especially if you don’t know how to deliver personalized marketing campaigns yet. Luckily, in this post, I’ll help you change that. In this short guide, you’ll discover the concept of personalized marketing. We’ll also discuss why personalization is no longer optional for your business. 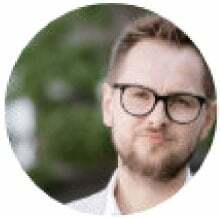 And finally, I’ll show you how to use customer behavior data to launch personalized promotional campaigns. Personalized marketing helps brands deliver customized digital marketing campaigns to tailor the buying experience to each person individually. To do so, marketers leverage personal and behavioral data about current customers and potential buyers. All to deliver personalized content, individualized offers, and other custom-tailored information. To engage prospective customer better and communicate with them on a more personal level. 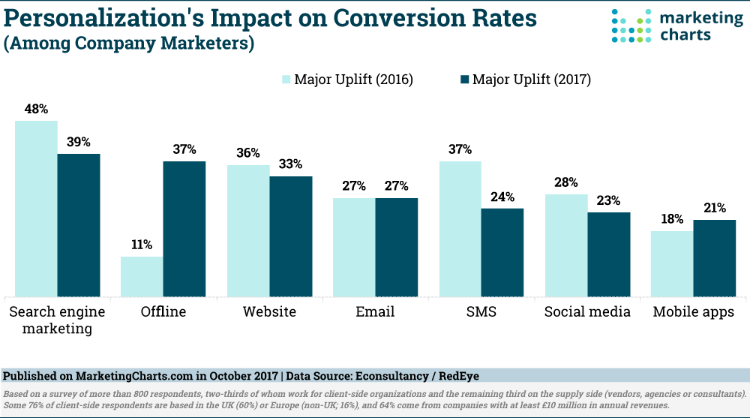 According to the 2017 Conversion Rate Optimization Report by Econsultancy, personalization boost conversation rates across all of the key marketing channels. Similarly, according to a Marketing Insider Group’s report, 78% of customers admit that personalized messages increase their buying intent. 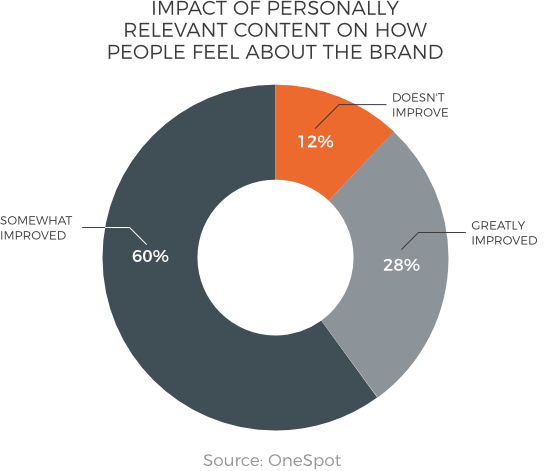 What’s more, for the majority of customers, seeing personalized content improves how they feel about a brand. 88% of marketers have achieved a measurable lift in business results with their personalization efforts. What’s more, for 53% of them, the lift was greater than 10%. And for 10%, personalization boosted business results by a staggering 30%. Personalized marketing is no longer optional. You have to do it. A far better customer experience. 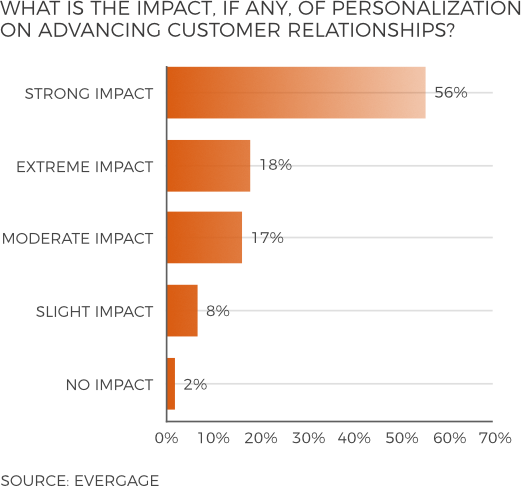 The Researchscape and Evergage report I quoted above also discovered that 98% of marketers noticed personalization helping advance their customers relationships. Create more consistent marketing communications. Using data to understand customers at a personal level helps display consistent marketing messages regardless of the channel they currently use. 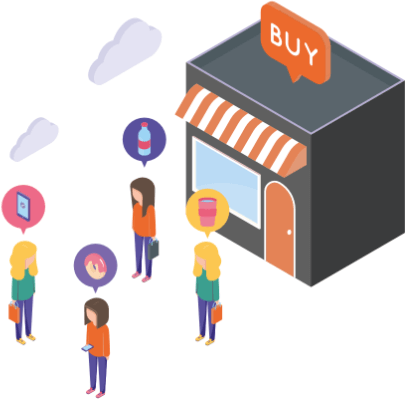 How Do You Personalize Marketing and the Buying Experience? And to begin, let’s talk about the key to personalizing your buying experience - the data. ...As long as you have and use the right data. When you collect and correlate existing information about customers, you can understand them on a level that allows personalization. Marketing campaign data, and more. #1. Segment your audience better. Using demographics and behavioral data, you could group buyers by critical characteristics. And in doing so, discover how to customize marketing strategies to the needs of each group. Let’s assume you promote an eCommerce store. Using the data, you could segment website visitors into first-time and returning traffic. And then, using other data sets, understand their intent for a visit better. For this example, let’s consider that you want to engage first-time visitors. You already know that these people are the least likely to make a purchase. At least, not on the first visit. And so, you collect more data about them. One of which is the traffic source. They, most likely, visited your website driven by curiosity, not a desire to buy. And so, presenting a hard sell offer might deter them from the brand. But you could entice them to sign up to a mailing list or follow your brand on other social media channels. Why, because such conversion matches what drove them to the site in the first place. Simply. #2. Predict your buyers’ next actions. Using customer data, and the purchase history, for example, a brand could uncover their potential buyers’ needs for information. With such insight, it could plan and launch a strategy to position the right content where a person would be looking for it. What’s more, a brand could use the same technique to personalize content on the website. Companies have already been personalizing email marketing messages for quite some time. And with great results. Including a recipient’s name in the subject line helps boost open rates. Using their name in the email further increases the response or conversion rates, and so on. But did you know that you could personalize other aspects of marketing communications as well? For example, you could match customer information with their site visit data to personalize ads or offers. 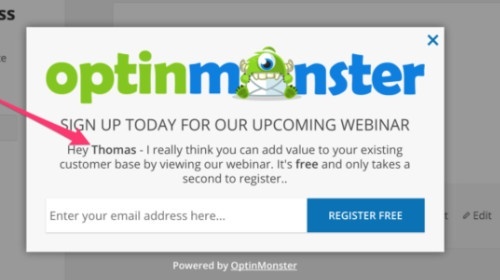 Here’s one example, an exit popup featuring a visitor’s name. Many brands use a similar approach. They display a visitor’s name on the home page, contact page, and on the banner offers. #4. Offer a more engaging website experience. Similarly, using browsing history data, a brand could tailor the content to a person’s interests in their subsequent visits. Make a specific product category a person’s been reviewing before more prominent, and so on. Amazon uses personalization to recommend and curate products for users. Point Defiance Zoo & Aquarium in Tacoma, WA uses demographics data merged with the point of sale and other insights to personalize offers to customers in catchment areas. 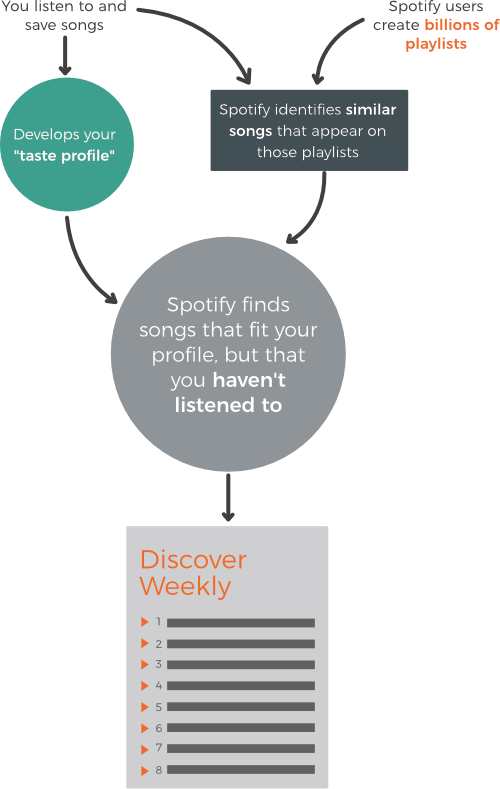 Spotify uses listening history to suggest other artists, records or playlists that should match a person’s taste in music. 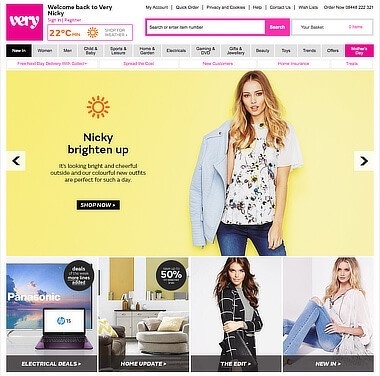 Clothing store, Very.co.uk, not only displays a person’s name on the homepage banner. They also match the banner to the weather data to display relevant offers on sunny or rainy days for logged in users. Today’s buyers expect personalization. To even consider buying from you, they must feel as if you knew them in person first. And this is where personalized marketing comes in. By using data, you can personalize and tailor the buying experience to each person individually.